A controversial risk modelling tool to guide Government spending in schools is reportedly close to being signed off as a replacement for the decile system. The predictive risk modelling index would replace the decile system, Newshub has reported. The Government had long been in talks with organisations including the New Zealand Education Institute (NZEI), which also wanted the decile system scrapped. Ranking schools by their “deciles”, and providing funding based on the socio-economic conditions within which they were located, was a system the Government had long sought to abolish. 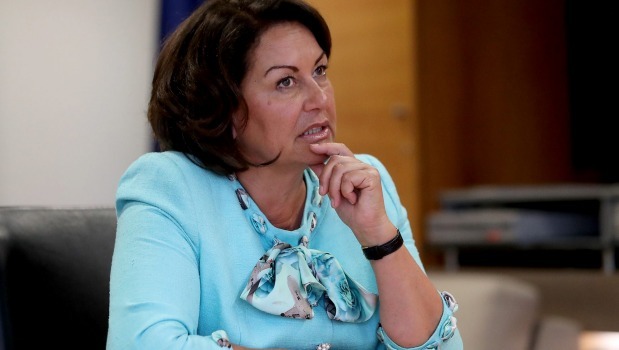 Education Minister Hekia Parata confirmed she wanted the funding system changed, before she stepped down from the role on May 1. It had already emerged last year that the Government was considering it. In a statement, Parata said the funding review, including decile, has been an ongoing process for the past 12 months. “There has been widespread involvement from the sector with technical reference groups looking at a range of options including replacing the decile system,” she said. Widely acknowledged to be a trial of the proposed new system, the Government froze schools’ operational funding at the Budget last year, in favour of targeted funding for 150,000 children. Former Finance Minister Bill English dedicated $43.2 million over four years to those schools with under-achieving students, with the expectation the money would be used to raise achievement. A predictive risk modelling tool was developed as part of the Government’s investment approach to delivering funding in highly targeted way, where it was most needed. It hit headlines in 2015, when Minister Anne Tolley intervened in officials’ plans to carry out an observational study to test the effectiveness of it in relation to children at risk of child abuse. Developed by the Ministry of Social Development, the tool attempts to predict abuse, welfare dependency and the likelihood of a child’s downward spiral into crime on the path to adulthood so it can better target spending. But the tool had also experienced much success in helping to prevent abuse, neglect or welfare dependency and was able to be trialled in other ways. The controversy stemmed from a proposed observational study, that would have involved giving a risk rating to 60,000 children born that year and then waiting to see whether those predictions came true.